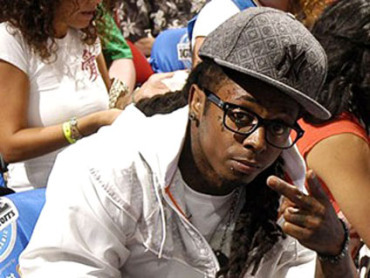 NEW YORK (CBS) Lil Wayne, the Grammy winner who's fresh out of Rikers, is facing a paternity suit filed by a grandmother. According to TMZ, a Missouri woman served the hip-hop hitmaker with the papers on Aug. 20, while the rapper was serving time for gun charges. The grandmother of an 8-year-old boy claims Lil Wayne, who has acknowledged fathering four children, fathered her grandson in 2002. The court order filed by the woman required the "Young Money" artist to submit to a DNA test before September 10, 2010, but since he was behind bars when he received the letter, the judge pushed the deadline to December 9, says TMZ. The woman who filed the suit against Lil Wayne has not said why her daughter is not pursuing the successful rapper herself, nor is she named in the legal documents. The 28-year-old rapper was recently released from New York City's Riker's Island complex, after pleading guilty to criminal possession of a weapon in Oct. 2009.